This month, Cone Elementary’s harvest of microgreen radishes made their way to “Hansel & Gretel,” the two Groundhogs under Piedmont Wildlife Rehab’s care. Thanks again to Bulldog Printing for helping sponsor the Classroom to Food Market Pipeline (CFMP) at Cone. This new browser blocks trackers, speeds up surfing, AND helps you fund websites like rebuildup.com – Watch the video and if this sounds like something worth trying, you can download the browser here. Step 1: Once the browser is installed, click on the browser menu in the top right corner (it looks like three dashes on top of each other). Step 4: Turn on the “Brave Payments” to begin dispersing your tokens to the websites you visit. Step 5: Make sure that rebuildup.com shows up on your Site list and that you include rebuildup.com in your token disbursements. Step 6: If you really want to help, turn off “auto-include” to narrow the number of sites who receive your tokens each month. 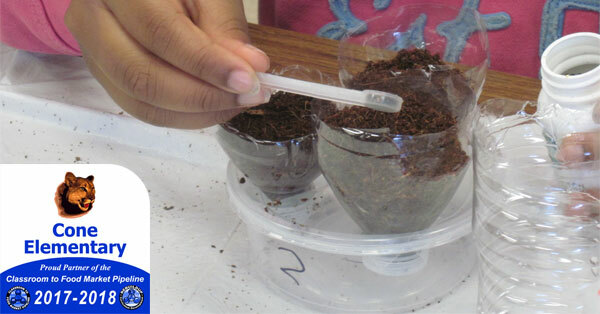 Following their December Training Session, 5th Grade AIG students at Stokesdale Elementary planted their first seeds of the season on Wednesday, January 3rd thanks to the sponsorship of Bulldog Printing. In two weeks, their beet microgreen crop will be ready to harvest. Beets are one of the three cold weather seeds selected for this extra cold winter season. Cone Elementary students saw their Garden Cress microgreen harvest fed to the chickens and turtles under Piedmont Wildlife Rehab’s care. Thank you to Dame’s Chicken & Waffles for financially supporting the Classroom to Food Market Pipeline program at Cone Elementary. 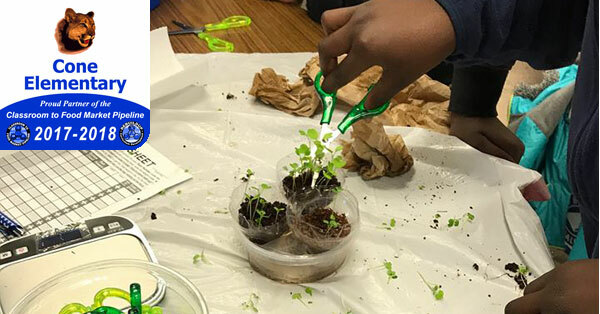 On Wednesday, December 13th, 5th grade AIG (Academically or Intellectually Gifted) students at Stokesdale Elementary began building their 3 Bottle Top Portable Garden Mini Bins (PG3’s). The students will add soil and plant seeds the first week of 2018. 8th graders at Dillard Middle School provided fresh tendergreens to feed pet guinea pigs from their first harvest of the school year. 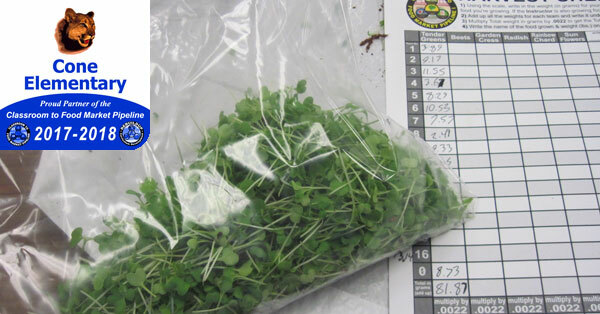 The microgreens were grown in class using water bottles and other common materials as part of the Classroom to Food Market Pipeline (CFMP) program. 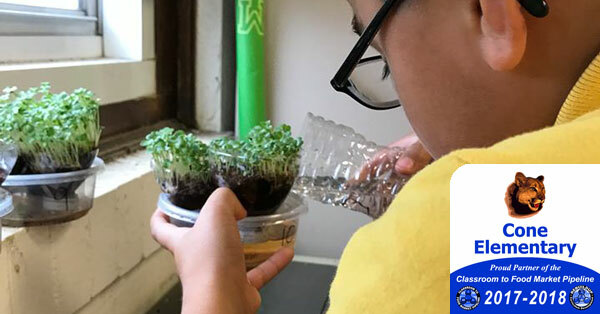 Cone Elementary students last week completed this month’s Classroom to Food Market Pipeline by planting, growing, harvesting, and finally giving beet microgreens to the Piedmont Wildlife Rehab to help feed turtles in their care. 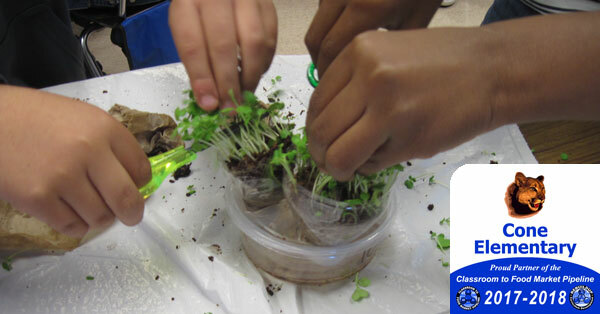 Students plan to do it again in December with their Garden Cress harvest. Thank you to Dame’s Chicken & Waffles for financially supporting this program at Cone Elementary. On Thursday November 2nd, Classroom to Food Market Pipeline (CFMP) training was held in the auditorium of Dillard Middle School for their entire 8th grade. Some of the 75 8th graders who took part. Teams of students in each class will start their own Portable Gardens this week and continue the CFMP until the end of May. Cone Elementary 4th Graders had their first harvest of tendergreens on Friday, October 20th. The harvest is part of the Classroom to Food Market Pipeline (CFMP) at Cone sponsored this month by Emma Keys Flat Top Burgers. 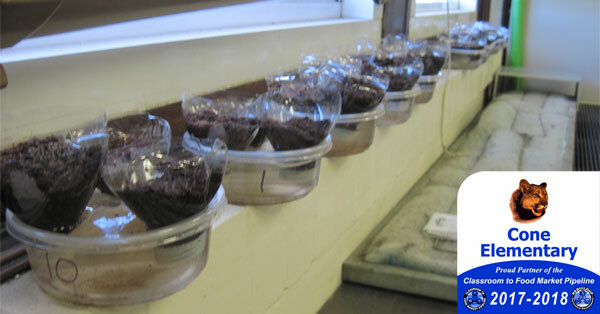 Students watered their greens for two weeks before the harvest. Teams took turns cutting their tendergreens to find out how much they weighed. Team 3 took first place to start off the growing season that will run until May featuring seven more foods to be planted. 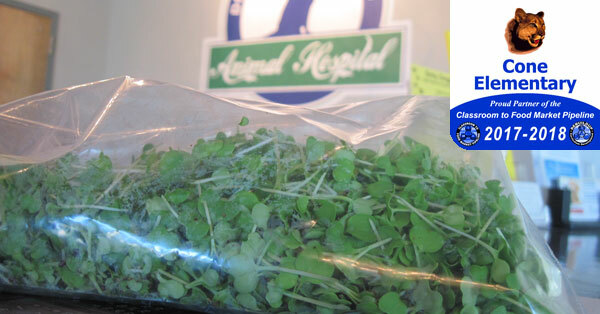 The full harvest was delivered to a nearby animal hospital to be used as rabbit food. On Friday October 6th, Fourth graders at Cone Elementary resumed the Classroom to Food Market Pipeline (CFMP). This month of the CFMP is sponsored by Emma Keys Flat Top Grill. 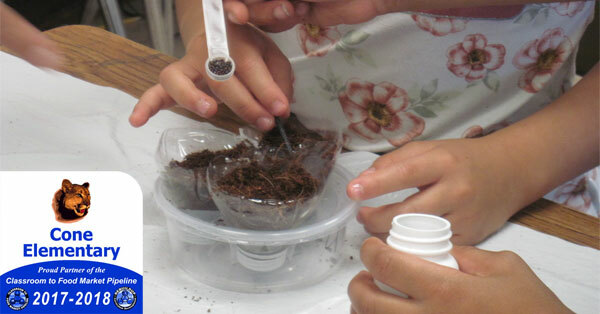 Students in teams of 2 got the chance to build their own mini-Portable Gardens that they’ll be in charge of for the remainder of the school year. This year’s version of the CFMP brings with it a new food to plant each month.